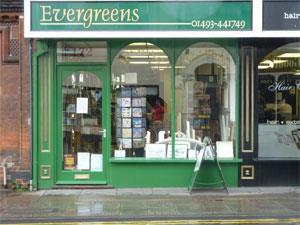 Evergreens in Gorleston-on-Sea near Great Yarmouth specialises in picture framing and also sell natural furnishings, silk flowers, vases, mirrors and more. From Great Yarmouth follow signs for Gorleston-on-Sea. Evergreens is located mid-way along the main High Street.